RED - "To denote blood, especially in a beheading due to the huge amount of blood that comes forth from the severed arteries and veins of the neck including the carotid and the jugular." "Her coif was now replaced by a white cap. She knelt on the platform and prayed with her chaplain. When she had finished, one of her ladies in waiting blindfolded her with a large handkerchief. All was now ready and the headsman took up the sword and beheaded her with a single blow..."
"He will be made to don the Red Top Hat" is a euphemism used for "beheading" in Nabokov's Invitation to a Beheading. PURPLE - After death the body turns purple, as in this description of a 'Hanging' - ..."You go purple and swell up in the face and neck then die." This should give pause for great concern. The ungodly of this world place a high emphasis on symbolism -, including that of color - believing it aids in bringing about their evil purposes. 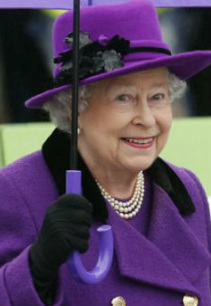 They must love it when all of these 'old ladies' are wearing the 'colors of death'. 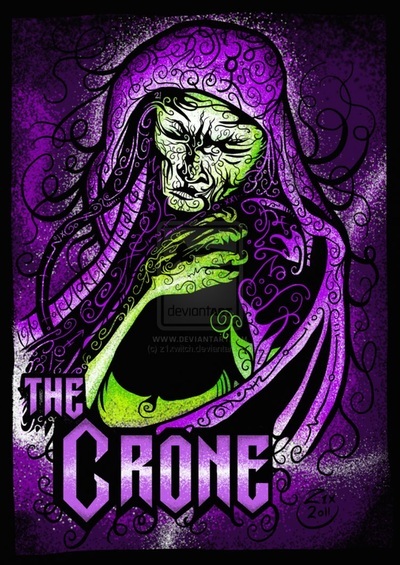 The crone is often a character in folklore and fairy tales, usually an old woman. In some stories, she is disagreeable, malicious, or sinister in manner. 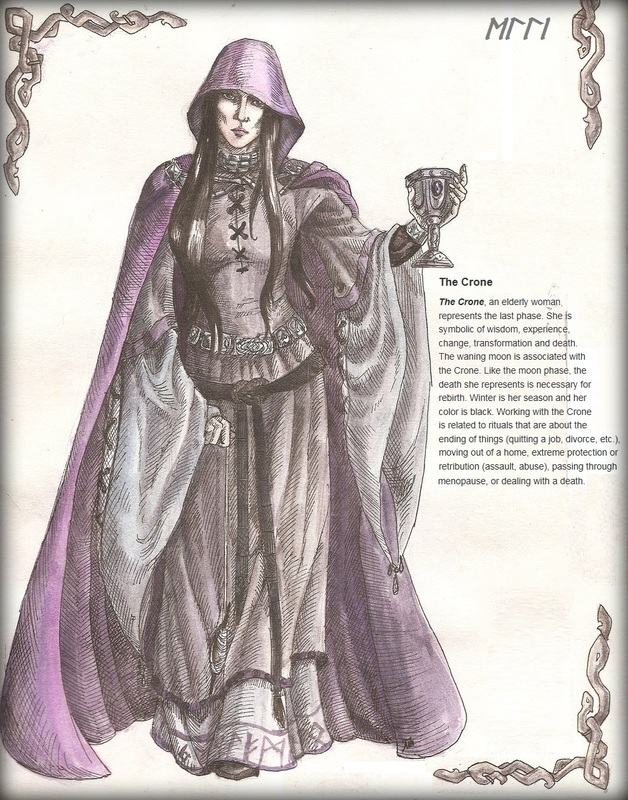 She often possesses magical or supernatural associations that can make her either helpful or obstructing. 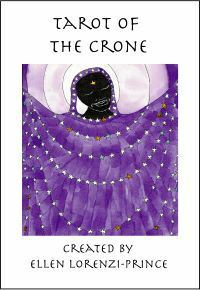 The Crone is also an archetypal figure - a Wise Woman. She is marginalized by her exclusion from the reproductive cycle, and her proximity to death places her in contact with occult wisdom. The word "crone" is a less common synonym for "old woman," and is more likely to appear in reference to traditional narratives than in contemporary everyday usage. 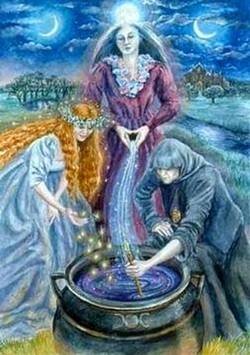 The word became further specialized as the third aspect of the Triple Goddess and subsequently in some forms of neo-paganism, particularly Wicca. In Wicca, she symbolizes the Dark Goddess, the dark of the moon, the end of a cycle. 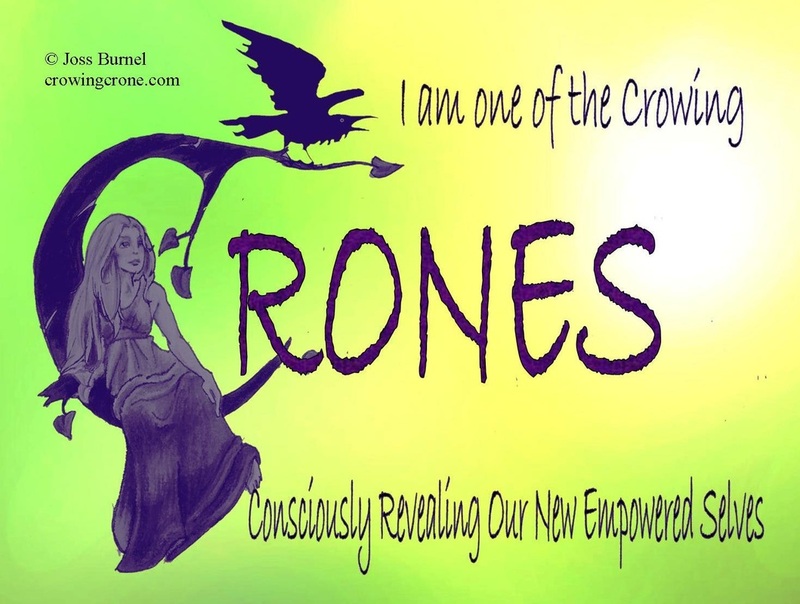 In New Age and Feminist spiritual circles, a "Croning" (a RED-uation?) 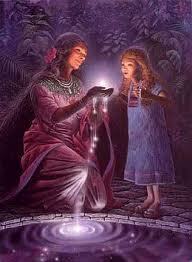 is a ritual rite of passage into an era of wisdom, freedom, and personal power. and stubbornness is as iniquity and idolatry. 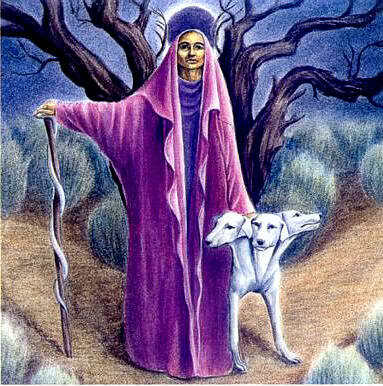 Because thou hast rejected the word of the Lord, he hath also rejected thee..."
"And the woman was arrayed in purple and scarlet colour, and decked with gold and precious stones and pearls, having a golden cup in her hand full of abominations and filthiness of her fornication:"
It's not a 'sound faith'. It is a mixture of false spirituality and pagan mystery religions - it is filled with idols and idolatry. 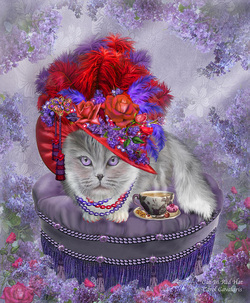 The official "Red Hat Society Day" is April 25 each year, the supposed date of the 'first tea'. In the Church calendar, Easter always falls on a Sunday between March 22 and April 25. Easter is not celebrated on a fixed day such as it would have been for Christ's Resurrection. Instead, it is a moveable date based on astronomical calculations of the first full moon after the March equinox. 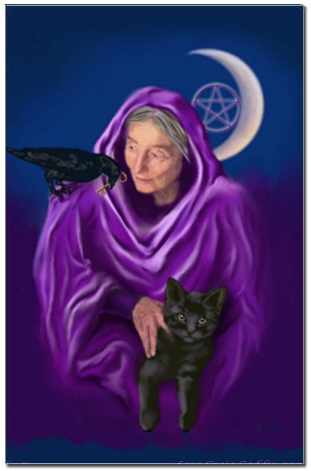 It is also interesting to note that the Wiccan 'unholy' Trinity of the Maiden, Mother and Crone is symbolized by the phases of the moon. 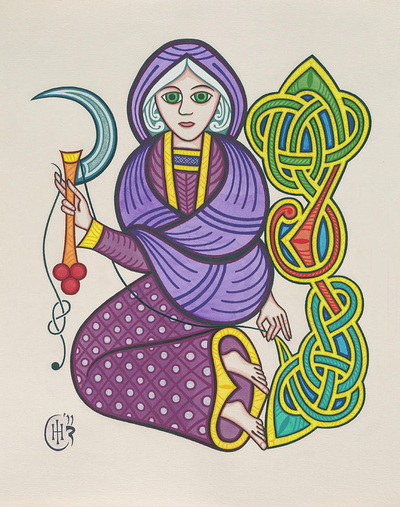 The name of Easter derives from Eostre or Ostara (or Morning Star), a form of the female goddess of the dawn ( -Sunrise Service?). 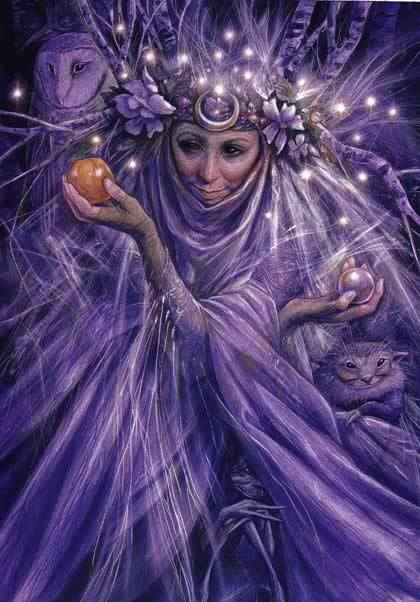 Pagan worship often involves the observance of the Sun, Moon, and Stars. The moon itself is often seen as 'female'. The date of April 25 gives us a last possible date for the Full Moon after the Spring Equinox. It seems a fitting day to commemorate to the founding of a society dedicated to the last phase of a woman's lifetime. 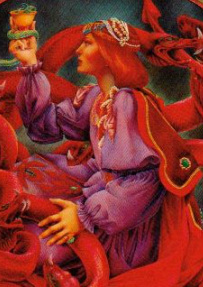 Could the Red Hat Society be part of a larger movement to, "Bring the Goddess back into society and all aspects of the Sacred Feminine." "The Road of Life is Wide, and Leads Everywhere to Destruction..."
The main reason it matters is that being in the Red Hat Society is really just one more distraction in life. It's a distraction from what really matters. It's keeping you from taking an honest look at your spiritual condition. And, it's a distraction that is coming in the latter part of life when one might perhaps finally be a little more introspective. By flitting around with 'friends' in frivolous activities, you're holding your conscience out at arms-length (yet again). You will gain the false confidence that all is well, when it may not be - that you're 'doing something', when you're really not. 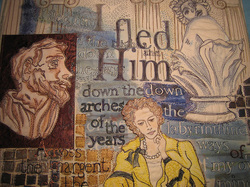 (But) 'All things betray thee, who betrayest Me'. You have been fleeing God all these years. There have been many distractions: School, Friends, Husband, Children, Work. Work: Ladies, for most of you know you really didn’t have to, and that working outside the home is not even the Biblical model for a woman. You really haven't had all that much time to think about God. The Red Hat Society! - With its "jam-packed Events Calendar and 'fun' Activities. Whether you have lived a good life up to now or not - why blow it all now? It's 'mixture - and God forbids it!